Caption slip reads: "Photographer: Sandusky. Date: 1958-12-02. Assignment: Fier--Malibu. Special instruction: Caption must include words 'Lind Flight Service'. 15 negs. 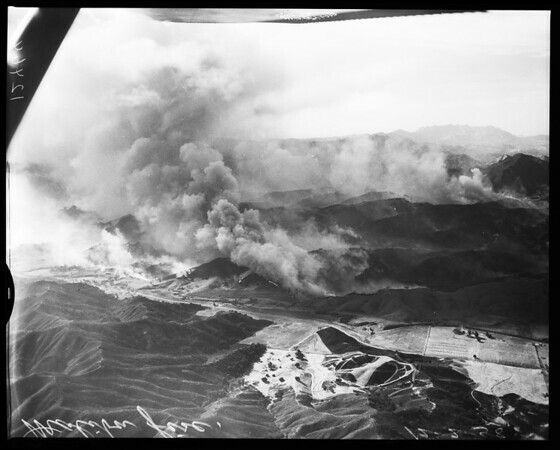 : Aerial views of fire between Ventura Boulevard & Malibu, north of Las Virgines Rd. ".